I hope you had a Merry ChristmaHanuKwanzaa! I have lots to share, but I thought I’d start with something I excel at. Sadly, there are certain types of cookies that traditionally only appear on my counter during very specific times of year. Sugar cookies are high on of my list of favorites, but I only make them around Christmas and Valentine’s Day. (I always wondered why they aren’t called “flour cookies” since there is a LOT more flour than sugar, but flour isn’t nearly as appetizing I guess.) The great thing about sugar cookies is that they are essentially a blank canvas. You can create endless shapes, flavors, colors, etc. with the basic recipe. I like to make a big batch and do several different styles of cookie. 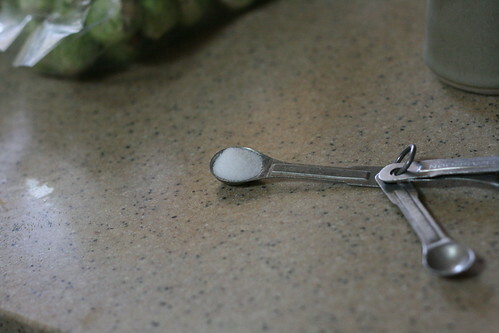 The ingredient list is short, but the method has to be pretty precise. Preheat oven to 400F while the dough is chilling, and either get your stoneware pans ready or line a baking sheet with parchment paper. 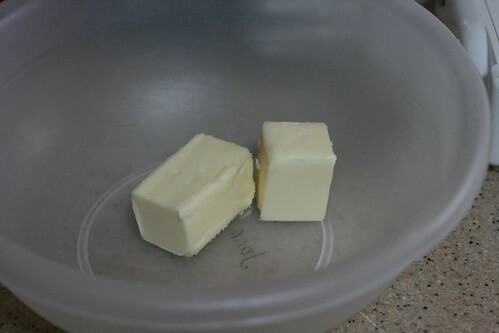 Put your room temperature butter in a bowl. The temperature of your butter is the most important part, and often the hardest part to plan for. It has to be soft, but not runny. Firm, but not cold. You have to take it out of the refrigerator and start the exact moment that it reaches room temperature. Any longer than that, and it will be too soft. Sheesh! Mix until course and sandy. 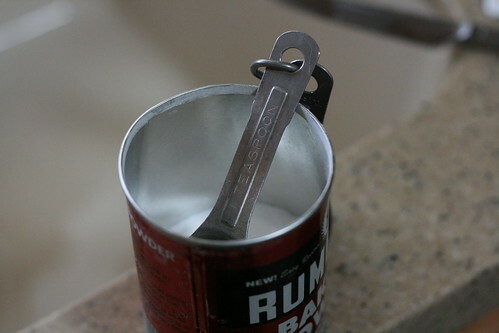 This is super easy with a stand mixer, but my mother in law’s egg beaters worked great. 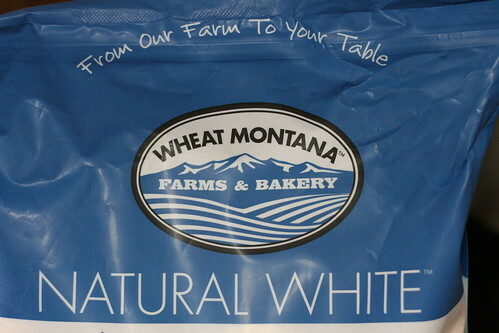 Nick found this flour on sale, and it was really nice. Light and fluffy, not too dense. 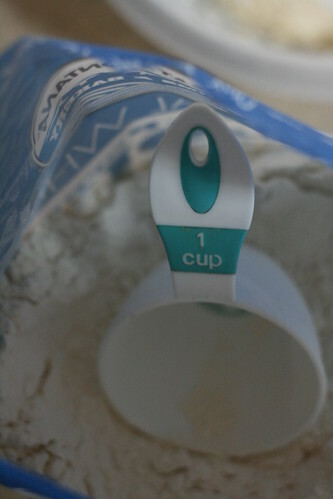 Add the flour, 2 cups at a time. 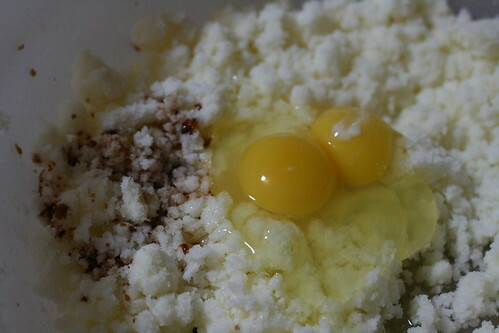 You don’t want the bowl too full of flour when you’re trying to get everything incorporated. 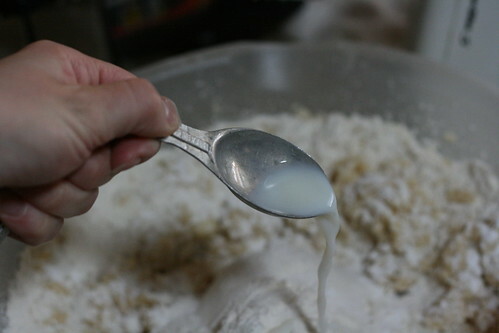 With the last two cups of flour, add the baking soda and salt. 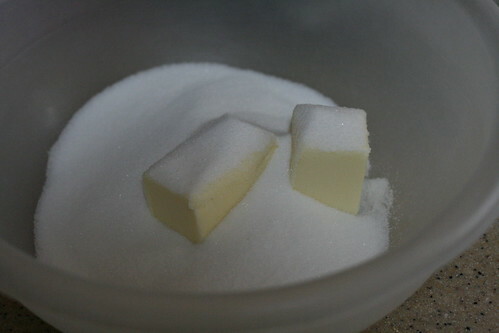 If I use salted butter, I only add 1/4 tsp of salt. Mix just a little bit, and then you need to wash your hands. 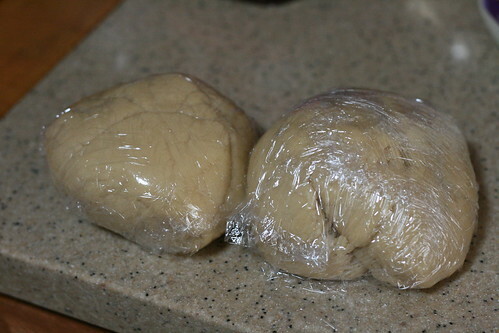 It’s best to refrigerate the dough before you go any further. Just wrap it in plastic wrap and hide it in the fridge (dough never lasted long in our house). This would be a fine time to preheat the oven to 400F. 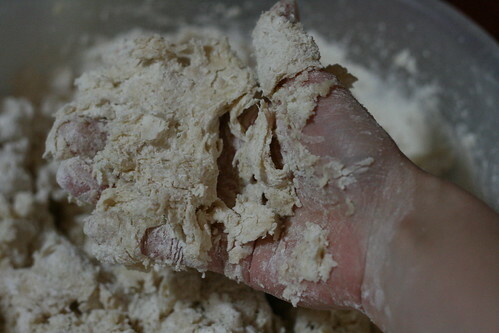 I separated the dough into two batches so that I could do different flavor combinations (you’ll see), and it also helps to work with small amounts of dough and keep the rest refrigerated. 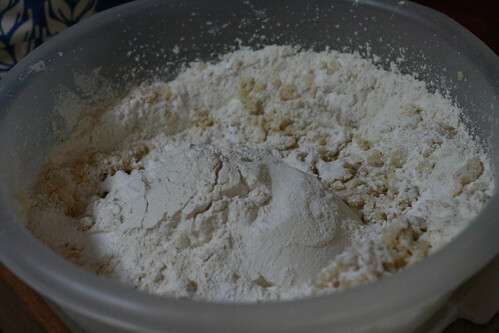 When you’re ready, lightly flour (or powdered sugar) a work surface. 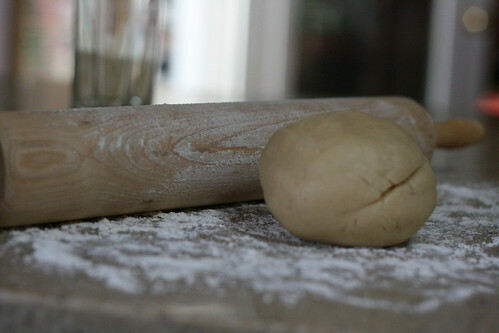 I find that it helps to also put a little flour on the rolling pin. 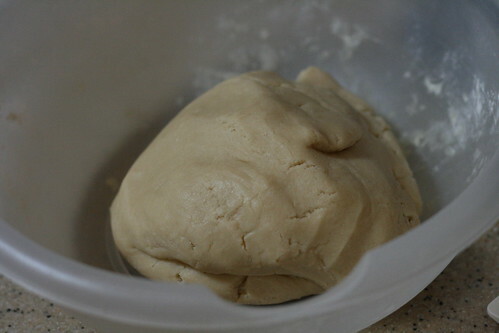 Roll the dough out to about 1/4 inch thickness. 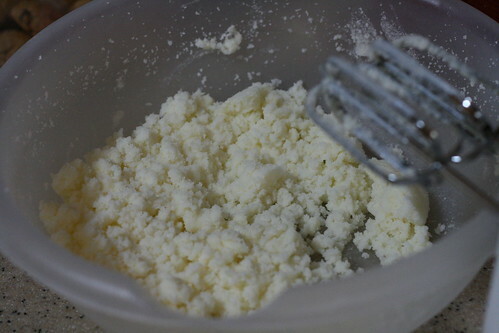 Cut into whatever shape you’d like, then top with sprinkles or bake plain for about 10-15 minutes. You’ll know when they’re done because they’ll smell like Christmas and be just a tiny bit darker where the cookie meets the pan. And there’s your canvas! I’ll share a few of my ideas and let you know how they worked out (spoiler: deliciously!! some even involved Nutella) I’ll see you again before New Year’s, but happy baking until then. Nice pictures, I know this procedure well. I love baking cookies also. There was always a plate of sugar cookies at our family gatherings when I was a kid, my cousin Terry was especially fond of making them. 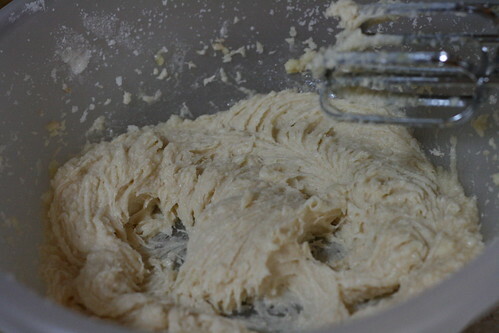 I have a kitchenaid stand mixer that makes mixing cookie dough a breeze. Hope you had a happy everything!